The cataract surgeons at Atlantis Eyecare have reached new levels of perfection, giving you the vision you’ve always wanted. It’s no mystery that LASIK is such a popular procedure. We can help you shed your glasses and begin a new life in under an hour. With our extensive selection of eyeglasses, you’re sure to find a look perfectly suited to your needs. Atlantis Eyecare Huntington Beach boasts world-class eye doctors who are experts in all aspects of eye care as well as leading specialists in vision correction, cataract surgery, and laser eye surgery. When you arrive at Atlantis Eyecare, you can rest assured that you will receive cutting-edge treatment in a comfortable, friendly and high tech environment, at the hands of the best cataract surgeons Huntington Beach has to offer. Our cataract surgeons are among the most qualified cataract specialists in the nation, expert in today’s cutting-edge cataract surgery procedures. Ready to leave your glasses and contacts behind? Atlantis Eyecare is the destination for laser vision correction in Huntington Beach. The treatment of retina conditions requires delicate care and extensive expertise. Our chief retina specialist is one of the highest credentialed in the country. Thanks to a technology known as refractive lens exchange, you can be rid of your cataracts and seeing clearer than ever in less than one hour’s time. There are several different lens types to choose from. Our top Huntington Beach cataract surgeons can help determine which is right for you. Laser vision correction is a truly remarkable technology. One’s results, however, depend heavily upon the expertise of the surgeon performing the procedure. Our doctors are among Huntington Beach’s highest trained laser vision experts, having collectively performed over 30,000 procedures. At Atlantis Eyecare Huntington Beach, we have assembled a team of ophthalmologists, optometrists and eye surgeons that is second to none in the field of eye care. If you are seeking an eye doctor in Huntington Beach for cataract surgery, laser vision correction, or general eye care, you have come to the right place. The professionals at Atlantis Eyecare Huntington Beach understand that comfort and quality of care is your highest priority. That’s why we bring you cutting-edge treatment in a peaceful and high-tech environment. You will be greeted by a friendly and knowledgeable staff and receive treatment in a state-of-the-art facility. We know that high-quality care can only be delivered on an individualized basis, one patient at a time. For this reason, we take the time to get to know every patient, creating personalized treatment plans suited to each. We are proud to have a team of top cataract surgeons, made up of some of the most experienced refractive lens experts in the state. Each of our cataract surgeons is highly trained, board-certified and at the top of their field. Equipped with a full array of leading-edge developments in cataract surgery, our team can quickly and painlessly treat cataracts, dramatically improving vision and often reducing dependence upon eyeglasses. 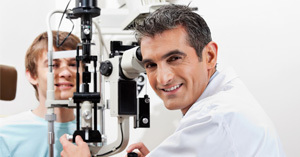 We provide the finest cataract surgery Huntington Beach has to offer. Advances in eye care have broadened what is possible for patients afflicted with cataracts. Cataract surgery can now be done swiftly and painlessly, with little-to-no downtime. 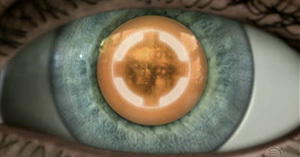 With the advent of premium intraocular lenses (or IOLs), patients can not only have their cataracts treated with ease, but also can dramatically improve their vision at any distance, greatly reducing or even eliminating the need for eyeglasses. At Atlantis Eyecare Huntington Beach, we specialize in this procedure, known as refractive lens exchange. 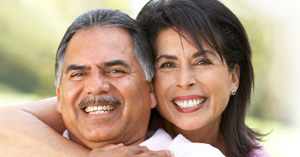 Most health insurance plans will cover cataract surgery. Here at Atlantis Eyecare Huntington Beach, our insurance experts will work with you to ensure you get the maximum possible benefits from your insurance plan. Whether or not we are listed by your plan as a preferred provider, we can help you make sense of your coverage so you get the medical care you need. Just give us your insurance information and let us do the rest. For procedures not covered by insurance, such as cosmetic procedures, we offer financing options through CareCredit. With a variety of payment plans to choose from, our patient counselors will work with you to determine which plan is best for you.